Great Jakes proudly sponsored the 2016 Legal Marketing Association’s Annual Conference, in beautiful Austin, TX. 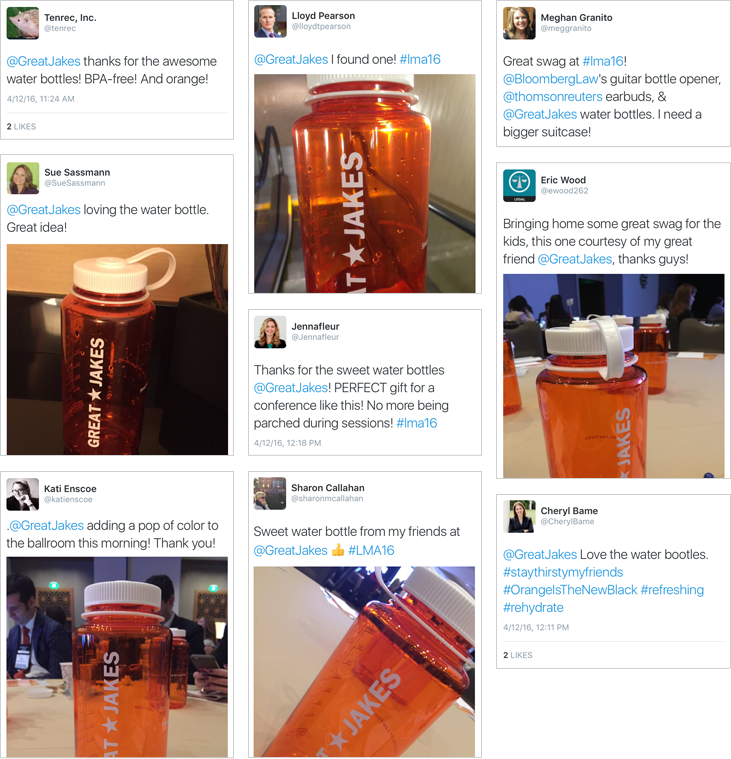 The website design agency distributed over 1,000 Great Jakes-branded Nalgene water bottles to attendees. And according to Twitter, the water bottles were a sensation. During the conference, two websites designed and developed by Great Jakes took the top honors at the LMA's prestigious Your Honor Awards. In the "Total Website Refresh/Overhaul/Rebrand" category, First Prize went to the Oblon website, and Second Prize to the Lewis Rice website. LMA 2016 was held at the JW Marriott Austin from April 11th through the 13th. The conference had a record-breaking 1,300+ attendees, from around the world. That’s over 30% more legal marketing professionals than the year before, representing well over 500 organizations.